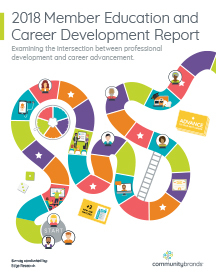 A deep dive into member education and career development and the role associations play to fill those needs. Professional membership organizations and associations are leaders within their industries. Members join to connect with like-minded individuals, drive personal and professional career growth and continue learning. Most organizations provide a wealth of educational content, materials and information. But is that enough? Are organizations meeting the needs of current members and the market? 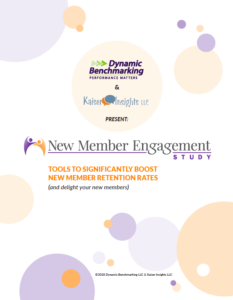 This study is designed to help professional membership organizations find ways to expand and adjust their services, so they can better accommodate the online learning and career advancement support their members desire. 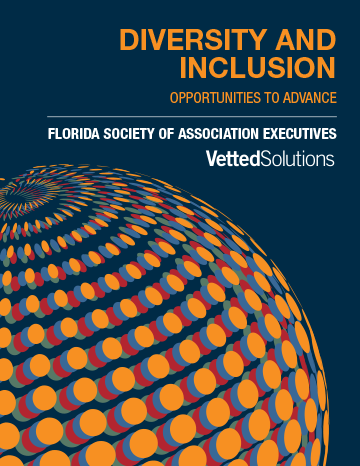 FSAE and Vetted Solutions released the results of a survey on diversity and inclusion within its member trade and professional associations in Florida. The survey is the first in Florida to analyze qualitatively the state of associations’ efforts to incorporate diversity and inclusion into their day-to-day operations and their staffing and strategic plans. The study results indicate that while Florida associations recognize diversity and inclusion are significant factors to an organization’s success, many are still working through the practical implementation to more fully realize their goals. 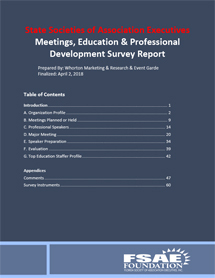 Earlier this year, the FSAE Foundation partnered with Whorton Marketing & Research to conduct a national study on association meetings, education and professional development. FSAE was one of 12 state societies that participated, contributing the largest number of responses: 63 or 17%. We are happy to share the survey findings in the Summary and Full Report. 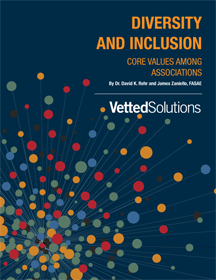 This national study on diversity and inclusions in associations found that leaders recognize the importance of diversity and inclusion, however many associations have not yet fully realized the value and benefits of diversity and inclusion. The report includes an overview of survey results and recommendations to improve Diversity & Inclusion for your organization. As the 4th largest state, Florida is home to a thriving association market that includes thousands of international, national, state, regional and local associations. 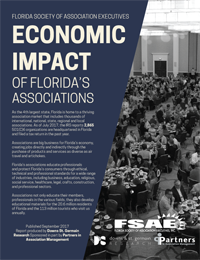 The total economic impact that the 1,000 largest associations have on Florida’s economy is a staggering $3.7 billion dollars. This includes jobs, travel, meetings and budget expenditures. According to recent Association Laboratory research, the creation, care and feeding of a strategic board of directors is one of the most significant leadership challenges facing association CEOs. 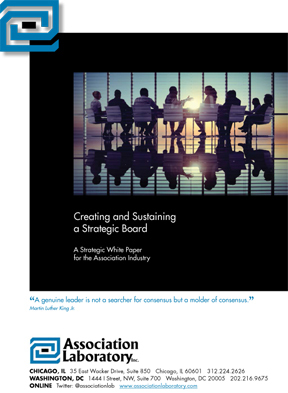 The subsequent white paper Creating and Sustaining a Strategic Board shares the ideas and insights from 25 leading association chief staff officers. 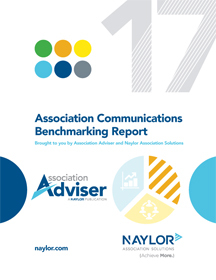 FSAE members participated in Naylor Association Solution's 2017 Communications Benchmarking Report which highlights communication best practices in the association industry. 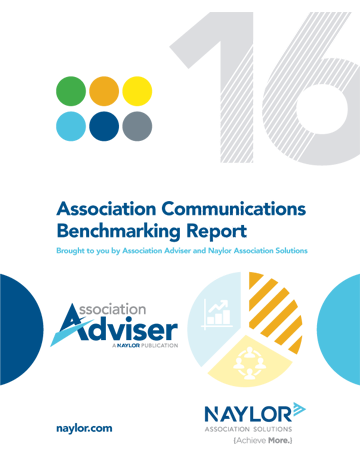 Research shows that communicating member benefits effectively, combating information overload and engaging young professionals are the top three communication challenges associations currently face. 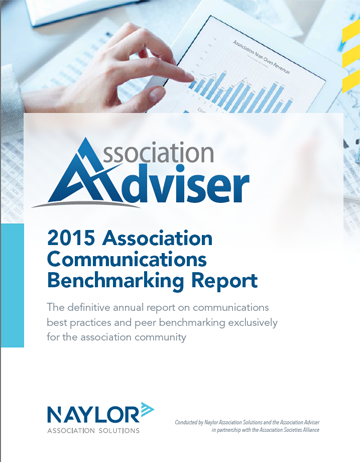 FSAE members participated in Naylor Association Solution's 2016 Communications Benchmarking Report which highlights communication best practices in the association industry. 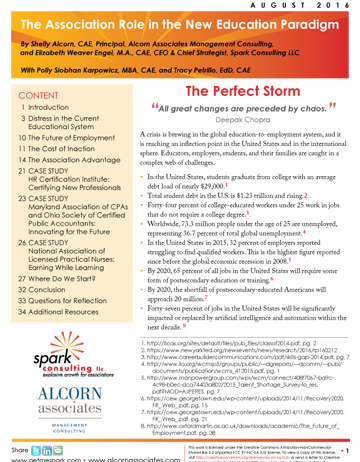 Research suggests that combating information overload/communication clutter and the inability to communicate member benefits effectively remain the top two communication challenges for associations, and difficulty engaging young professionals is now the third most frequently cited challenge, with customization and technical challenges falling close behind. The Association Role in the New Education Paradigm reviews the substantial body of research on the changes impacting both the education and employment sectors, argues that associations are uniquely positioned to help bridge the education to employment gap, and shares practical advice on how to get started. Stories of four associations that are doing outstanding work in addressing these disruptions are included. 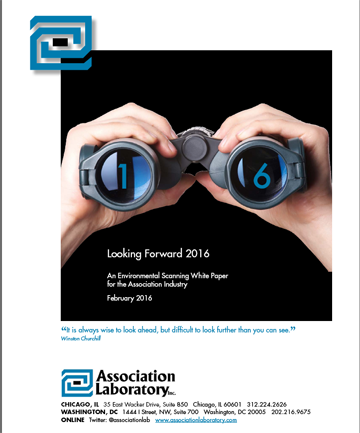 Published February 2016 by Association Laboratory Inc.
FSAE members participated in the Association Laboratory's Environmental Scan survey to help researchers identify critical factors affecting the association business environment for the economy, information, workforce, global and government factors. The survey benchmarks 69 environmental drivers with potential to significantly impact association members. Published 2015 by Association Laboratory Inc.
FSAE members participated in the Association Laboratory's Environmental Scan survey to help researchers identify critical factors affecting the association business environment for the economy, information, workforce, global and government factors. The survey benchmarks nearly 60 different implications on association strategy ranging from membership, to meetings and education and government advocacy. 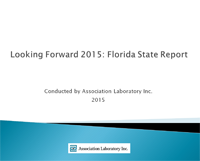 The Whitepaper includes findings from Florida and nationwide associations. FSAE members participated in Naylor Association Solution's 2015 Communications Benchmarking Report which highlights communication best practices in the association industry. Research suggests that while associations are making great strides in their fight for member engagement, they still struggle greatly with content relevancy, communication integration and using data advantageously to learn more about their members. And while staffing has increased slightly, it does not seem to be increasing sufficiently to handle the ever-increasing communication workload at today’s association. How do associations manage their data? 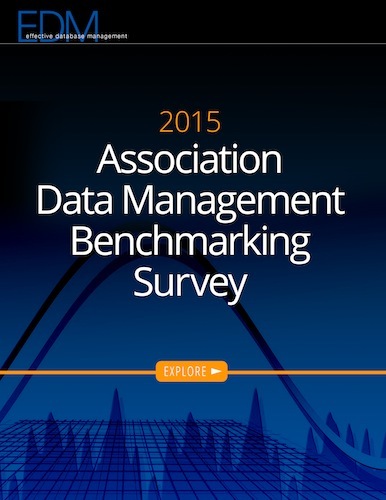 This report from Effective Database Management benchmarks data practices for over 170 associations. The FSAE Foundation participated in Whorton Marketing & Research's national economic impact study to determine the association industry's impact on states' economies. Florida was one of 21 states that participated in the study, collecting data from 750 associations across the country. 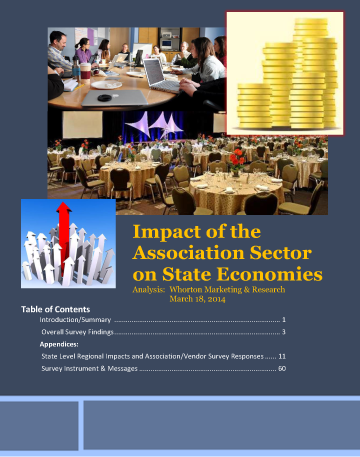 The study examines the economic impact of associations as employers, as well as monies spent on events and services. This report is free to FSAE members, courtesy of the FSAE Foundation.